Category Archives: Bedat & Co.
Spring is here and as the lyrics in a popular jazz song note, robins are starting to build nests from coast to coast. Winter is about to take its final bow and the weather through most parts of the nation is showing signs of warming up. The spring season is all about lighter and cooler apparel. It’s the time of the year, when you start to pack away your dark, warm winter outerwear and bring out your brighter and more colorful looks. Cheerful, colorful shades of yellow, green, pink, orange, purple, light blue and bright red traditionally capture the casual, light and airy essence of the season. As do floral prints and patterns. Bright and colorful jewelry is always an excellent choice for Spring and nothing adds more sparkle to your wardrobe than a dazzling wrist watch, coupled with a vibrant leather strap in the season’s top fashion colors. You’ll find a wide array of today’s most sought-after diamond and crystal inlaid timepieces at TheWatchery.com during their Spring Sparklers Event taking place this week at the luxury retailer. 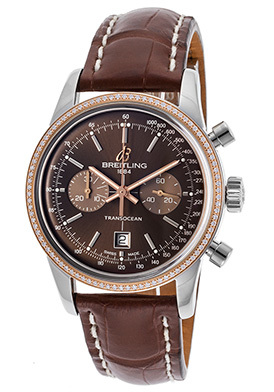 Close to 300 men’s and women’s models are featured in the promotion, including styles from Rolex, Bedat & Co., Cartier, Baume & Mercier, Concord, Ebel, Invicta, Raymond Weil, Michael Kors, Maurice Lacroix, Salvatore Ferragamo, Invicta, Swiss Legend, Rotary, Ted Lapidus, Corum, Theirry Mugler and Bulova. The Bedat & Company No. 7 women’s chronograph captures the spirit of the season. This ultra-chic and alluring women’s timepiece features 187 shimmering, premium-grade diamonds pave-set to glowing perfection on the lustrous bezel and lugs. The contoured rectangular shaped case in premium grade steel is highly polished to a mirror-bright glow. The alligator textured pink leather strap adds to fashionable design. The pink guilloche patterned dial shines with four diamond hour markers, three subdials, luminous sword hands, Roman and Arabic hour markers. Features include an automatic date calendar at the 6 o’clock hour, 1/10th of a second, small-second and 30 minute registers. Additional features include a scratch-resistant sapphire crystal above the dial and premium Swiss-made quartz movement for time-keeping accuracy. 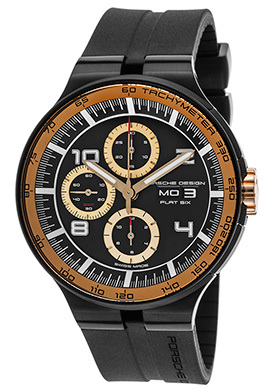 Chronograph is 29mm wide and 10mm thick. The gift-giving season is in full bloom. Christmas is less than two weeks away. Chanukah starts in just five short days. Now is the time to make some serious decisions on holiday gifts for the important lady in your life. Whether you are shopping for you wife, fiancé or girlfriend you will certainly want to bestow her with a gift she will cherish this holiday season and future ones to come. Diamond jewelry is always an excellent choice for a holiday gift and diamond wristwatches certainly capture the sparkling and glowing characteristics of the season. You’ll find many of today’s most sought-after diamond watches for women at luxury retailer TheWatchery.com, including today’s top-selling models from Gucci, Baume & Mercier, Cartier, Accutron by Bulova, Bedat & Co. Invicta, Chopard, TAG Heuer, Swiss Legend, Ebel, Salvatore Ferragamo and more. 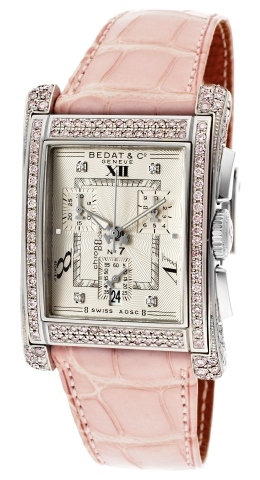 You could certainly go no wrong selecting a Bedat & Co. women’s dress watch. 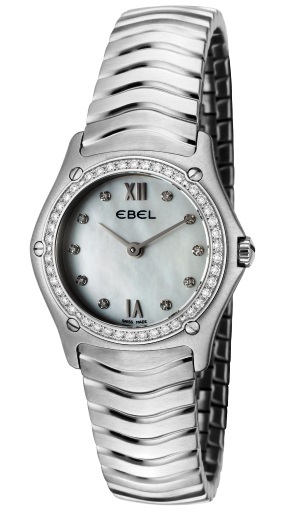 The brand produces premium timepieces expressly for women. Each and every Bedat & Co. wristwatch is crafted in Switzerland. What’s more each is stamped on the caseback with the prestigious A.O.S.C seal (Swiss Certified Label Of Origin), the consummate symbol of quality that guarantees all components in the construction and craftsmanship of the timepiece are Swiss. In addition, only the finest top-grade top diamonds are presented in Bedat & Co. timepieces. Each of the brand’s diamond watches features only the highest-grade Wesselton color F-G diamonds with a vvs to vs1 clarity. Diamonds of this quality are usually found only in top-of-the-line rings, earrings, bracelets and other fine jewelry. 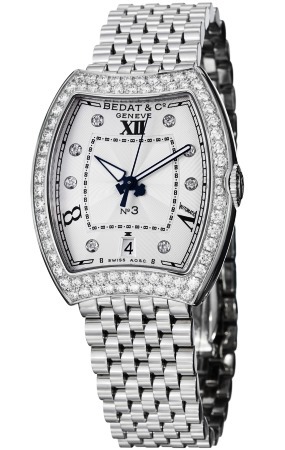 The Bedat & Co. Women’s No 3 diamond timepiece is an excellent choice. Glowing with glamour and radiance, this spectacular women’s automatic watch features shimmering round-cut diamonds pave-set to perfection on the lustrous bezel in polished stainless steel. The distinctive Tonneau shaped case and matching multi-link bracelet in premium grade stainless steel are highly polished to a mirror-bright patina. 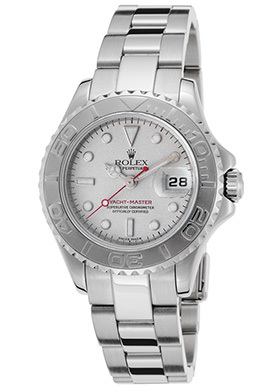 The silver colored dial shines with white outlined sword hands and eight diamond inlaid hour markers. A window at the 6 o’clock hour reveals the automatic date calendar. 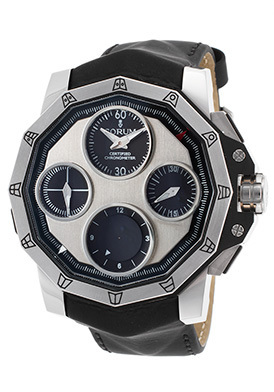 Features include premium Swiss-made automatic movement inside and water-resistance to 50 meter or 165 feet. 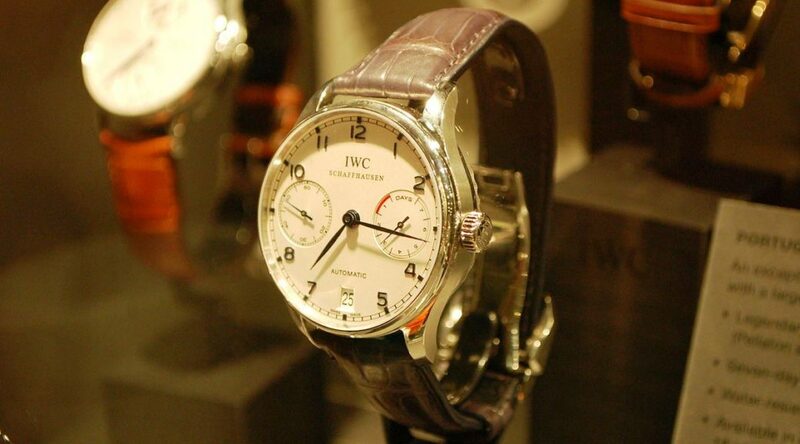 Dress watch is 33.5mm wide and 10mm thick. Complementary shipping and extended holiday returns are included on all domestic U.S. watch purchases at TheWatchery.com. In an industry dominated by muscular men’s timepieces, watchmaker Bedat & Co. stands out from the rest. Founded in 1996, Bedat & Co. is a Swiss luxury watch brand expressly created to produce distinctively feminine timepieces for women. The brand’s founder Simone Bédat, set out to create timepieces for women, reflecting on the aesthetic traditions of the Art Deco era that delivered elegance, functionality and beauty. 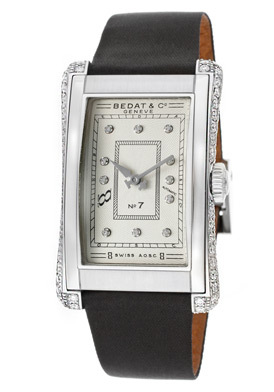 Bedat’s desire was to offer timepieces of exceptional quality with extraordinary designs unique to women in an industry used to creating smaller-scale models of men’s watches and marketing them to the female sector. Each and every Bedat & Co. wristwatch is crafted in Switzerland and is stamped with the prestigious A.O.S.C seal (Swiss Certified Label Of Origin), the consummate symbol of quality that guarantees all components in the construction and craftsmanship of the watch are Swiss. 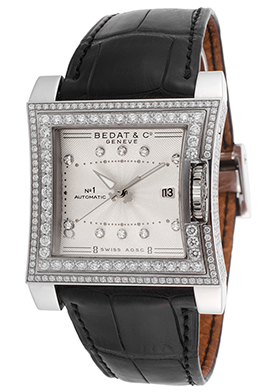 Bedat & Co. is also one of the first watch makers to feature diamonds in stainless steel watches. What’s more, only the finest top-grade diamonds are featured in Bedat & Co. timepieces. Each of the brand’s diamond watches features Top Wesselton color F-G diamonds with a clarity of vvs to vs1…diamonds usually found in high-end rings, earrings, bracelet and other fine jewelry. You’ll find a splendid array of Bedat & Co. wristwatches for women at luxury retailer The Watchery from the brands popular No.1, No. 3, No. 7 and No. 8 collections. The Bedat & Co. No. 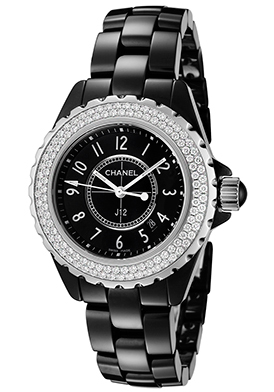 3 timepiece for women glistens with radiant glamour. The Tonneau shaped case in premium grade stainless steel and matching brick link bracelet are highly polished to a lustrous, mirror-bright patina. Eighty premium grade round-cut diamonds are pave-set to glowing perfection on the on the integrated stainless steel bezel. The captivating silver guilloche dial shines with luminous sword hands and eight inlaid diamond hour markers. A window at the 6 o’clock hour reveals the automatic date calendar. 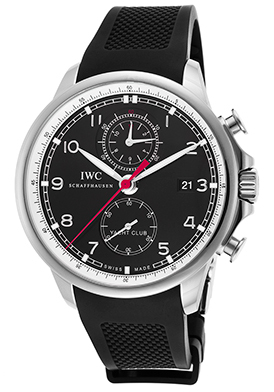 Premium Swiss-made quartz movement inside assure you of precise time-keeping accuracy.